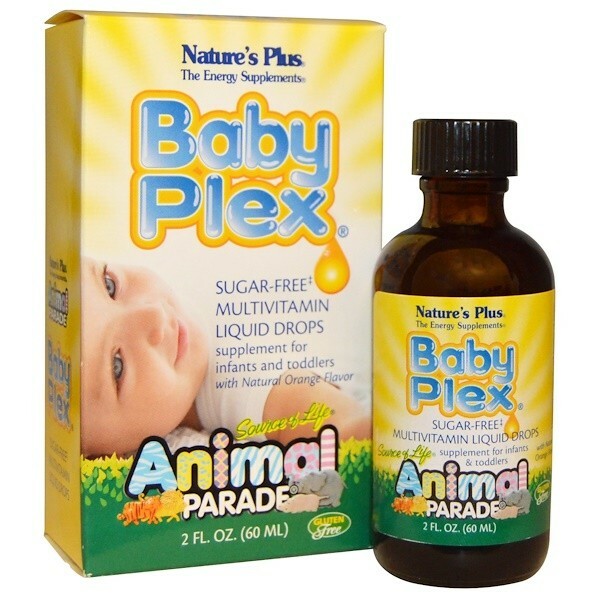 For pure, natural, safe, and effective nutrition, look to Source of Life Animal Parade Baby Plex, only from Nature's Plus. Amount Per Serving %DV forInfants %DV for Children 12 Mos.to 4 Yrs. Other Ingredients Purified water, vegetable glycerin, fructose, polysorbate 80, natural orange flavor, trace sodium benzoate and trace potassium sorbate.Free from artificial colors. Free from yeast, wheat, soy and milk. 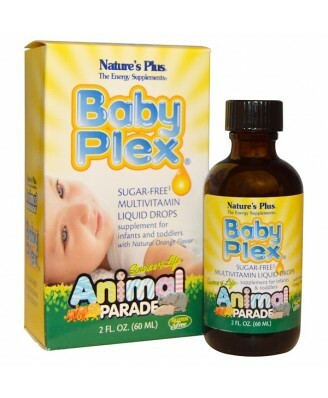 For pure, natural, safe, and effective nutrition, look to Source of Life Animal Parade Baby Plex, only from Nature's Plus. With quality backed by an independent laboratory assay, Source of Life Animal Parade Baby Plex liquid vitamin formula for infants and toddlers is sugar free, with a natural, yummy orange flavor and a convenient dropper applicator. Dietarily insignificant source of sugar. 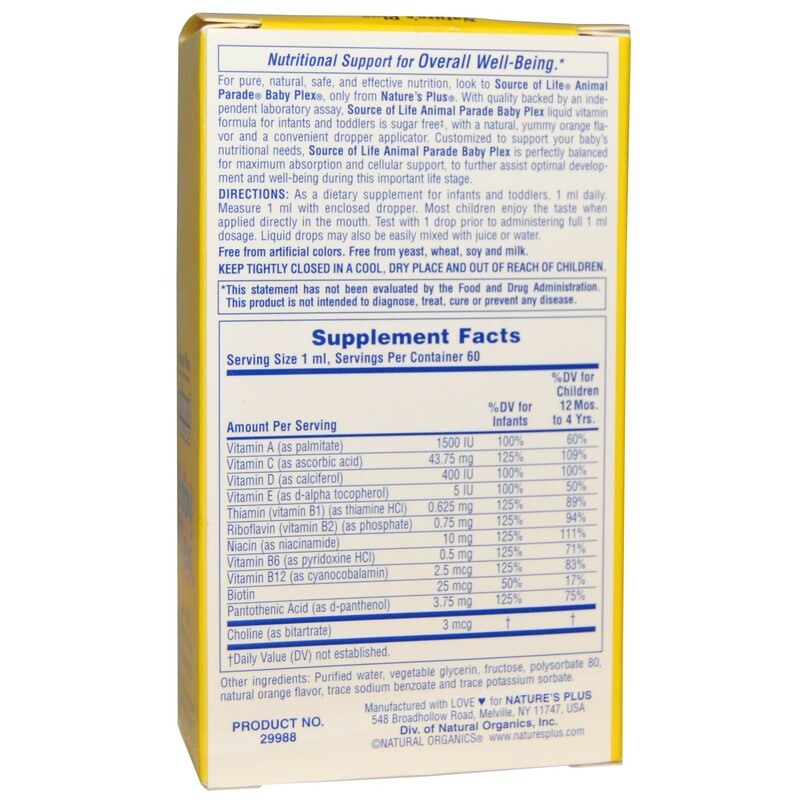 As a dietary supplement for infants and toddlers, 1 ml daily. Measure 1 ml with enclosed dropper. Most children enjoy the taste when applied directly in the mouth. Test with 1 drop prior to administering full 1 ml dosage. Liquid drops may also be easily mixed with juice or water. Keep tightly closed in a cool, dry place and out of reach of children.